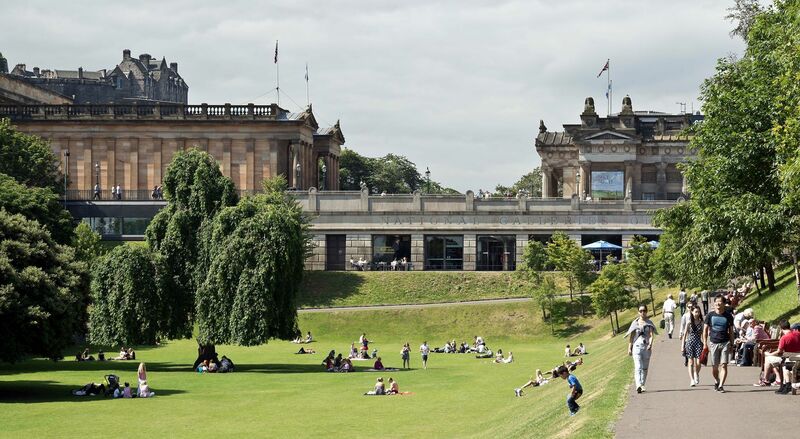 On a visit to Edinburgh, you can be by the sea one day, climbing an extinct volcano the next, in a Medieval ghost story in the morning and a Georgian period drama in the afternoon. 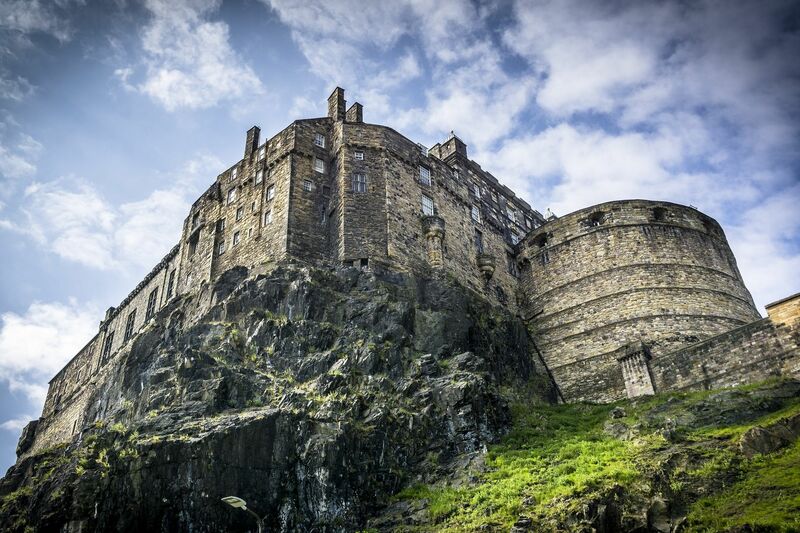 Scotland’s capital has such a range of activities and things to see, it’s hard to know where to start. 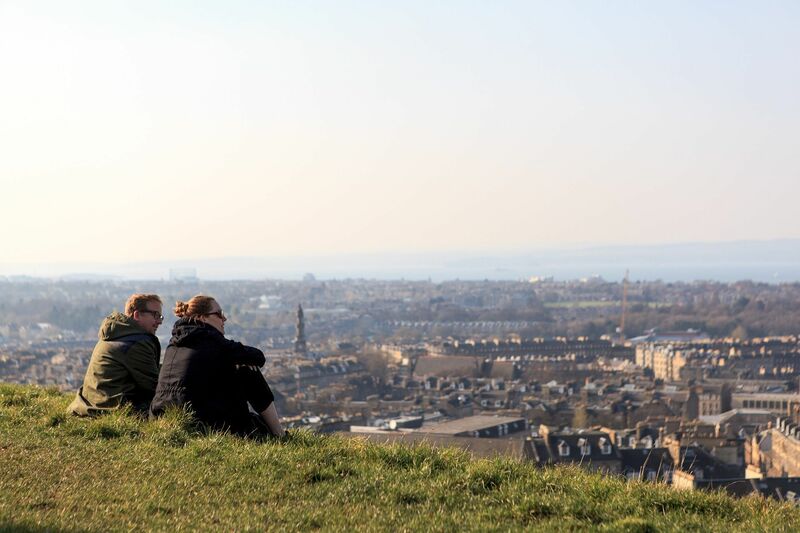 Here is a guide to some of Edinburgh’s diverse neighborhoods, including a village with a pub recently patronized by the Queen, and one of the last Victorian Turkish baths in Britain. 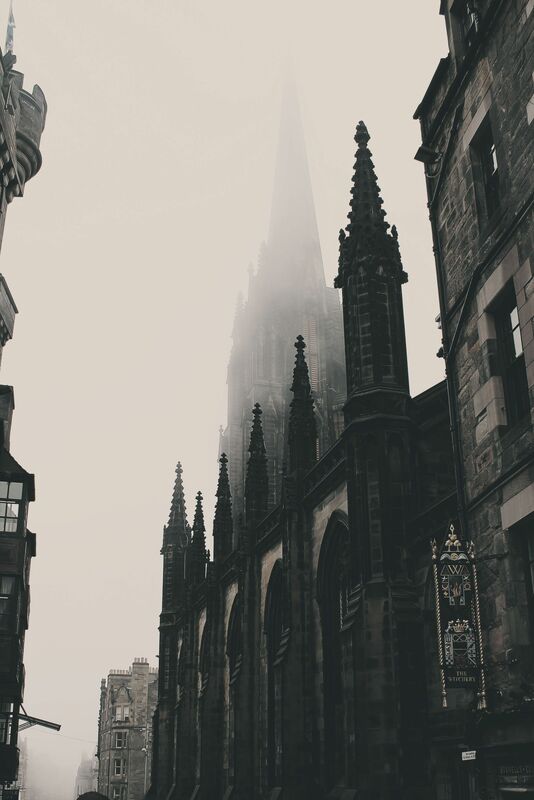 Although most of the remaining architecture doesn’t pre-date the 17th century, the Royal Mile and series of herringbone ‘closes’ (alleys) still manage to conjure up some of that dark Medieval mystery of Old Edinburgh. Take a shivery twilight wander of closes with names like Fleshmarket and World’s End, and be rewarded in the form of atmospheric pubs like the Halfway House and the Jolly Judge. The Royal Mile links two essential Edinburgh attractions, the Castle and the Queen’s residence in the city, the Palace of Holyroodhouse. Beside the Palace, you can give your two cents on the controversial modern architecture of the Scottish Parliament, whose window decorations are said to be inspired by Henry Raeburn’s famous portrait of ‘The Skating Minister’, which can be seen at the National Gallery on Princes Street. A word of warning: as a general rule avoid ‘Scottish produce’ shops along the Royal Mile, as the majority have goods shipped in from China. Instead, head down into the Grassmarket and visit the mind-boggling array of hats in Fabhatrix; the long-running joke shop Aha Ha Ha; and dairy-lovers’ dream Mary’s Milk Bar for a retro ice cream and artisan chocolates. Then trudge up the steep slope of Victoria Street, stopping for a rest on the way at Oink to try their sublime combination that is pulled hog roast, haggis and apple sauce; and at Edinburgh’s favorite cheese shop IJ Mellis for some Scottish specialties. For an Edinburgh resident, to live in the New Town is to reach the heights of social accomplishment. Originally planned by James Craig, but with modifications from Robert Adam, The New Town is an easily navigable delight of stately Georgian town houses with long windows facilitating envious gazes into chandeliered drawing rooms. George Street’s shops ensure residents can find all the essentials like tweed cushions from stylish Made in Scotland shop, Anta, or boho-chic dresses from Anthropologie. 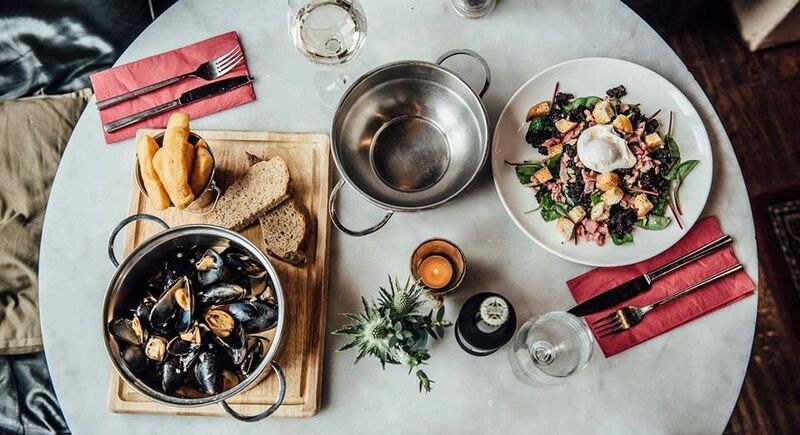 Venturing down Hanover Street there are some Edinburgh foodie favorites like Hendersons, whose veggie food could tempt even the most staunch meat-eater, and Chez Jules, a little piece of bohemian Paris in Edinburgh. Further in, one finds serene circuses and leafy squares with private central gardens for residents. On Dundas Street, you can amble between private galleries and antique shops, art suppliers and coffee stops. For your mid-morning latte stop at Archipelago Artisan Bakery, and don’t feel guilty if you’re tempted by their bread or cakes, as they are all organic and made from local produce, and many are also gluten free. On either side of Belford Road are two imposing neoclassical buildings housing the Modern Art Gallery and its sister the Dean Gallery (recently unimaginatively renamed Modern One and Modern Two). 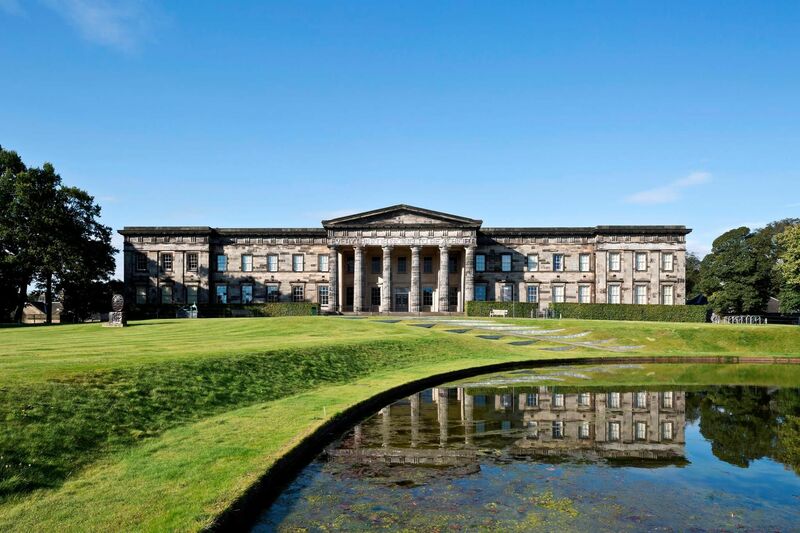 Their distinguished collections include paintings by the Scottish Colourists and renowned international artists like Francis Bacon and Andy Warhol in the former, and a large collection of Eduardo Paolozzi, including the 7.3 meters tall Vulcan sculpture in the latter. Both also have large sculpture gardens featuring artists like Henry Moore, Barbara Hepworth, and Martin Creed. After fuzzing your brain with all sorts of Modernist questions, you can take a refreshing walk along the Water of Leith, a surprising little peaceful paradise accessible by a flight of steps behind the Modern Art Gallery. Following the path by the river you can reach the lost-in-time Dean Village with colored, half-timbered buildings set deep in the gorge. Stop off at the Granary for supper — order the mussels. Probably laying claim to the first designer rail in a charity shop, Stockbridge high street is also crammed with independent gift shops, retro coffee shops, and second-hand treasure troves. It is brunch paradise with cafés like The Pantry ready to satisfy any avocado, sourdough or nduja cravings you may have. Alternatively, pop down the road to Stockbridge institution, Patisserie Florentin for a sweet start to your day. A Stockbridge oldie is Galerie Mirages, where you can find jewelry, ceramics and interior decorations from around the world jumbled together in a souk-like fashion. Stockbridge is also home to the Colonies, low-rise terraced houses built originally for the artisan class. They are, of course, now sought after for their quaint diminutive charm. Here you are a short walk from the Royal Botanic Gardens, an exotic paradise with gigantic water lilies in its hot houses and a variety of events, especially in summer. In the last 30 years, Portobello has been transformed from a Victorian seaside town to a beach and promenade now populated by Barbour-booted dog walkers and children with names like Isaac and Joshua. At the first hint of sunshine, the beach is filled with people, with some brave Scots even taking a dip in the sea. But if your visit doesn’t coincide with one of the 3 days of the Scottish summer you can have a cappuccino and homemade cake in the marine-themed coffee shop, The Beach House, or from the eye-catching lime green ‘Little Green Van’ serving artisan coffee, di Rollo ice-cream, and Eteaket tea, naturally! Another rainy day activity and you should plan for lots of these, is to visit the Victorian Turkish baths. While there were around 600 of these across the UK in the 19th century, nowadays Portobello’s baths are the only public ones left in Scotland. After a strenuous walk on the beach, you can drift between the Moorish-inspired tepidarium, caldarium, and laconicum (the hot chambers) and then give your circulation a wake up with a plunge in the icy pool. Duddingston is a village of rustic cottages and stone-built villas, and a church with a loupin’-on-stane, a stone for alighting onto horses. 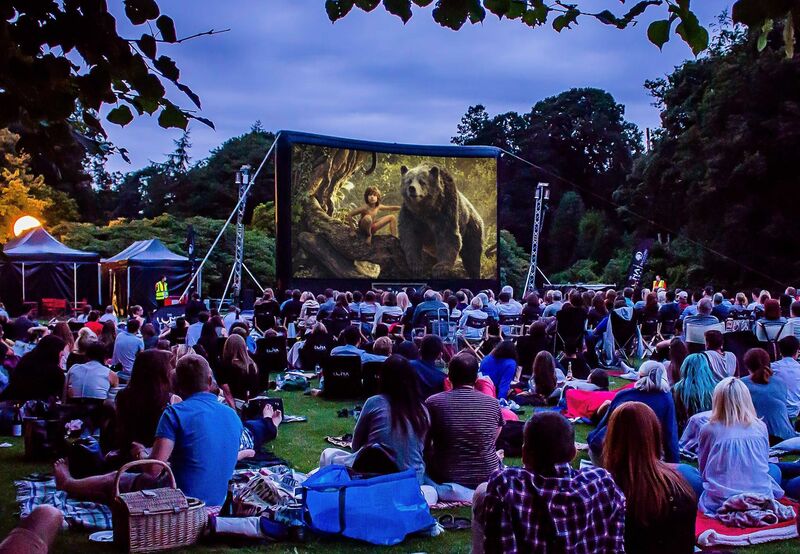 It is located on the edge of Holyrood Park and overlooks the scenic Duddingston Loch. With the likes of the Queen and, somewhat earlier, the Jacobite Army as patrons, the Sheep Heid Inn is worth visiting for a wee dram. The interior is a mix of cottage chic and antique shop, and it boasts a bowling alley dating from 1870. Finally, a trip to Edinburgh is not complete without climbing its extinct volcano Arthur’s Seat. You can thoroughly lose yourself in nature, forgetting you are in a city at all. From some spots, you can see the hazy blue of the Firth of Forth, and from others, a panorama of the city set out like a miniature model. And as every Edinburgh resident knows, the best time to climb it is New Year’s Eve to watch the Hogmanay fireworks.